Earned media. Marketers crave it. But what is it? Earned media is attention you get in print, on TV, radio, or Internet that you didn’t have to pay for because you’re doing something newsworthy that other people want to talk about. When you see a business highlighted on the local news for donating to a charity, that’s earned media. It can reach tens of thousands of people and give your business a huge public relations boost. 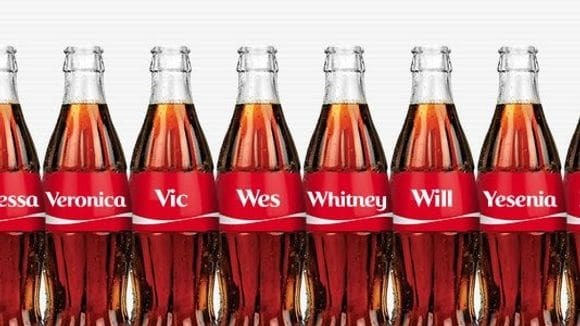 Coca Cola got a lot of media attention simply for putting people’s names on their labels. How do you get earned media attention? There are a lot of ways. Your business can partner with a nonprofit to benefit the community. You can create a publicity stunt. Your business can launch a big campaign. Local media is often interested in stories like these, so they’ll give your business exposure. But first you have to get the attention of media stakeholders. You can do that by sending out press releases to all major media outlets and calling them to follow up. Send polite emails, tweets, or texts about your business to media contacts. Or ask business leaders in your community if they can introduce you to people in the media. There are many different creative ways to reach out to the media and get attention for your business. 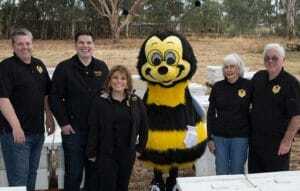 Local honey producer Spease Bees has a bee mascot that earns them TV coverage. Over the years I’ve made a lot of connections in Sacramento radio, TV, print, and Internet. As I’ve grown my team, they’ve brought their own contacts. If you’re looking for media connections outside Sacramento, we can probably help with that, too. Working in media for 25 years has taught me how to find connections that will help your business grow. Most business owners haven’t heard of earned media, but it can be one of the most powerful tools for promoting your business. It’s all about tact and understanding what the media wants to share with their followers. If you’d like to get earned media attention for your business, send me a message and we’ll develop a plan to get you there.